Students attending the annual Sting Break event on March 30 were briefly evacuated from Tech Square during what many thought was an active shooter incident. At roughly the same time, students began bolting out of the area, with shouts of “armed shooter” and “gun” travelling through the crowd. The area was quickly pedestrian-free, though it took more time to evacuate those who were on and in line for rides. Word of the incident spread through social media, with reports ranging from an armed person being arrested to shots having been fired and bomb threats being made. 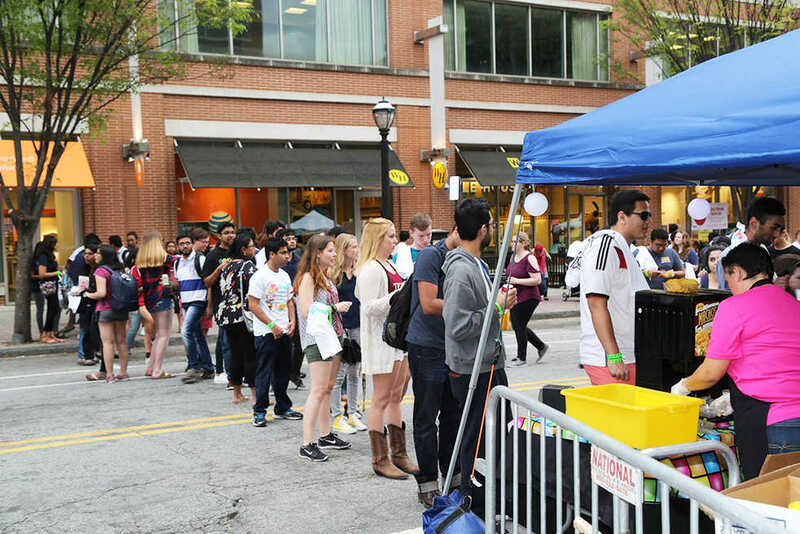 Even as people rushed from Tech Square, it was unclear to many what was actually happening. The first official Institute comments were issued through GTPD’s Twitter account at 9:30 p.m., with a tweet indicating that reports of an armed person were unfounded but that a person of interest was in custody; a clarification tweeted at 10:37 p.m. stated that the person of interest was detained until video evidence confirmed that he was not armed. Students on social media voiced concerns regarding the lack of a Georgia Tech Emergency Notification System (GTENS) alert, given the degree of misinformation and confusion surrounding the situation. “They probably should have used it to tell everyone that there was no danger since it became such a widespread rumor,” said /u/EForReal12 in a Reddit thread on the subject. Several others in the thread, however, agreed that a GTENS alert would not have been required in this particular situation. GTPD, in its retroactive statement posted on social media, indicated that the lack of an armed person — and thus a present danger to campus — as well as the speed with which the incident was resolved rendered a GTENS alert unnecessary. SCPC had worked with GTPD prior to the event to ensure that an emergency plan was in place. “We also had the evacuation plan for if severe weather were to occur, and we enacted that at the end of Sting Break,” Hampton said. GTPD was unable to be reached for comment.